Fry’s is helping us save on cleaning supplies. 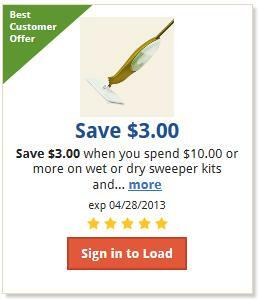 Today you can add a Save $3.00 when you spent $10.00 or More On Wet or Dry Sweeper Kits and Refills coupon to your card. (exp. 4/28/13).